Younger children often get mouth ulcers as part of a viral infection, like herpes gingivostomatitis or hand foot and mouth disease. In older children, recurrent ulcers are often caused by canker sores or aphthous stomatitis. Your child's age, duration of symptoms (how long the ulcers have been there), and other symptoms can help you and your pediatrician figure out what is causing your child's mouth ulcers. Herpes Gingivostomatitis - this is an infection caused by the herpes virus, which is the same virus that causes fever blisters or cold sores (herpes labialis). Although some people get cold sores over and over, the first time you get this infection, instead of just getting a few vesicles on your lips, you get the classic herpes gingivostomatitis infection, with high fever, irritability and small, painful ulcers on the child's gums and inside his mouth. Hand Foot and Mouth disease is another viral illness that causes mouth ulcers. It is caused by the Coxsackie virus and children with this infection usually get small red ulcers in their mouth and on their hands (palms) and feet (soles). These children can also sometimes get a rash on their legs and buttocks. Herpangina - is similar to hand foot and mouth disease, except that the ulcers are just in the child's mouth. It is also caused by the Coxsackie virus. Geographic Tongue - also called benign migratory glossitis, can look like a large ulcer, with a smooth pink or red area on the tongue with a raised border. It is not usually painful though and no treatment is necessary. Oral ulcers can also be caused by trauma, as a side effect of chemotherapy, radiation and certain drugs, especially Stevens-Johnson syndrome. Recurrent ulcers can be more difficult to diagnose, treat and prevent. Referral to a specialist, a dentist or dermatologist, and perhaps a biopsy of an ulcer is sometimes necessary. Trauma, like from a dental appliance, sharp tooth, habitual cheek biting, are a common cause of recurrent mouth ulcers. In this situation, you would expect the ulcers to keep coming back in the same area. Recurrent aphthous stomatitis is a common cause of recurrent mouth ulcers in children and adults. They are also called canker sores and although sometimes thought to be caused by smoking, food allergies, stress, vitamin deficiencies, and local trauma, no specific trigger is found in most people. Although most people with recurrent herpes infections (herpes simplex labialis) get the ulcers on the outside of their lips (cold sores or fever blisters), some get them inside too. 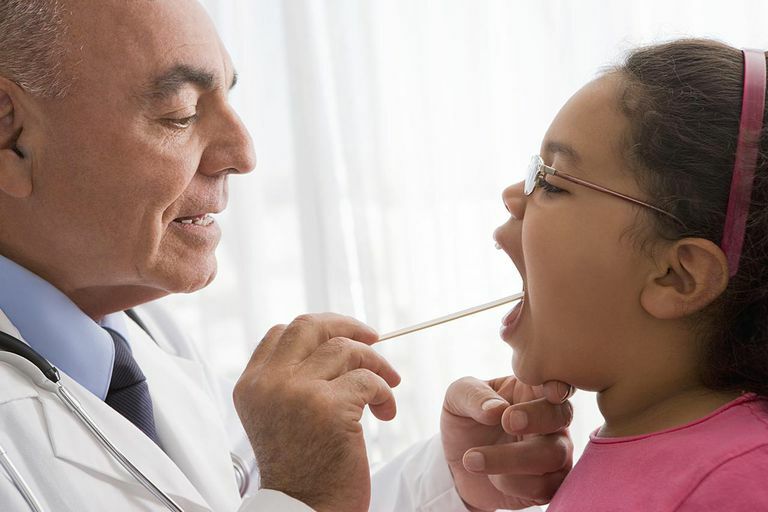 Periodic fever syndrome (PFAPA), in which children get episodes of fever, aphthous stomatitis, pharyngitis, and cervical adenitis every 2-8 weeks. In most cases, symptomatic treatments are the main option. This might include acetaminophen or ibuprofen-containing pain medications. Medications to coat the ulcers can also be helpful, such as antacids (Maalox or Milk of Magnesia), and dental pastes. A combination of Benadryl and Maalox is often popular. Topical analgesics, such as 2% viscous lidocaine applied directly to the ulcers, diphenhydramine (Benadryl) elixir mouthwash, and benzocaine preparations, such as Anbesol or Orajel Mouth-Aid. Antiseptics, such as chlorhexidine gluconate (Peridex) and cetylpyridium chloride solution (Cepacol) might also be effective treatments when used as a mouthwash twice a day. Aphthasol (amlexanox) is an anti-inflammatory paste that can be applied to ulcers 2-4 times a day to make them less painful and help them heal faster. Steroids are also sometimes used to treat oral ulcers. When needed, 0.1% triamcinolone acetonide (Kenalog) can be added to an emollient dental paste, like Orabase, and applied to the ulcers several times a day. Topical high-potency steroid gels are also sometimes used. If a specific trigger for your child's oral ulcers is found, those things should be avoided. A symptom diary, record when your child got his ulcer and the things he ate and used in his mouth (toothpastes, mouthwashes, etc.) just before and any medications he may have taken, may help you find triggers. When no trigger is found, a mouth rinse or toothpaste with triclosan may be helpful. Colgate Total toothpastes contain triclosan. Sodium lauryl sulfate (SLS), which is an additive in many brands of toothpaste and mouthwashes, is thought to be a possible trigger of ulcers in some people with recurrent aphthous stomatitis, so it may be helpful to use SLS-free products. SLS-free toothpastes include Biotene and Rembrandt's Canker Sore toothpaste. It may also be helpful to avoid letting your mouth get dry, avoid sharp foods, like pretzels, and use a soft toothbrush.